Duncan Channon has released new creative work for Upwork. The campaign titled “This is Happening” has fun with an experience familiar to us in corporate America: the “oh sh**, how am I going to get this done! ?” moment when an ambitious goal or project lands on our desk. 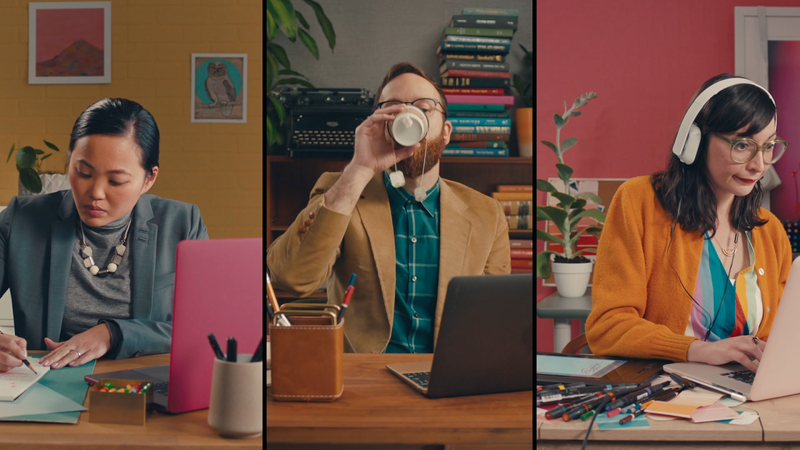 In a colorful, quirky world that’s hip to Upwork’s freelance platform, managers in three TV spots transform this fleeting anxiety into the thrill of making things happen -- thanks of course, to skilled freelancers easily found on Upwork. The creative aims to raise awareness of the ability to hire freelancers online as Upwork seeks to disrupt traditional hiring models that can be too slow for the modern pace of business. The campaign launches at a time when the 56M person freelance workforce is contributing a record number of hours to the American economy – 1 billion hours weekly. Corporate interest in sourcing top freelance talent online is also growing. 30 percent of the Fortune 500 now use Upwork, up 10 percent since the “Hey World” campaign launched in January 2018. McKinsey Global Institute predicts that by 2025, talent platforms could add $2.7 trillion, or nearly 2 percent, to global Gross Domestic Product. As the way work gets done evolves, “This is Happening” humorously reminds companies that skilled freelance talent is just a few clicks away from helping them solve their business challenges. Duncan Channon's Chief Creative Officer, Michael Lemme, says, “After ‘Hey World’ got people’s attention by tapping pop culture and figures like President Trump and The Rock to introduce Upwork, we wanted to make the new creative relatable to people who might not yet be thinking about the ways that freelancers can help them with their own business challenges,” said Michael Lemme, chief creative officer, Duncan Channon. “The pace and style of the new work reflects Upwork’s view that businesses need to move fast and think in new ways, and they’re propelled by the colorful, quirky, capable human beings that help us get stuff done,” added Lemme. The campaign, which includes TV and radio, launches Jan 15 in New York, San Francisco, Chicago, Los Angeles and Seattle. Upwork’s AOR Duncan Channon handled creative and media buying.